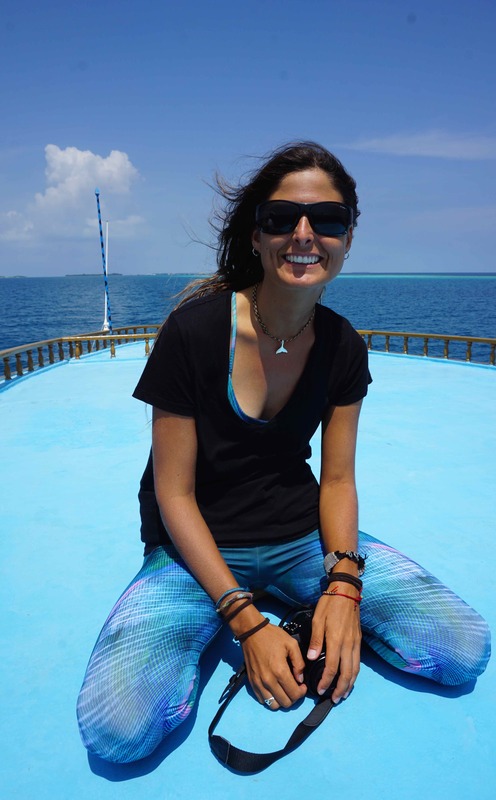 With a passion for all things marine and boundless energy, Clara is one of our inspirational in-field coordinators! I first came as a volunteer in November 2016. I spent two weeks on the volunteer programme and when I got back to Spain I knew I needed a change in my life as I had stopped searching for my dream. So thanks to the experiences lived throughout my volunteer programme, they helped to give me the strength and the motivation I needed to make a move so I started checking for job opportunities in the Maldives and suddenly there was a job offer for MWSRP! Since I was child I knew I wanted to work in marine science. The Oceanographic Institute of Spain is infront of my house back in my hometown and I remember I used to always say I would work for them one day and I did! On the other hand, I used to go fishing with my dad when I was a child during my holidays, and would always tell him I wanted to work on a boat when I grew older and be a marine scientist searching for megafauna and protecting the marine wildlife. As a child I envisioned I would do all of this dressed as a pirate! 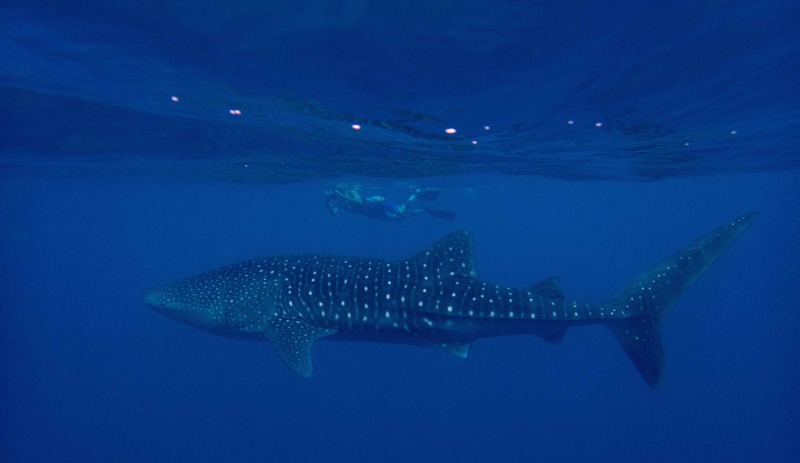 Luckily this job has brought many memorable experiences but seeing the excitement of students encountering a whale shark or dolphin for their first time and seeing how their eyes shine showing their joy and admiration is incredible. Once they live that moment then it is easier to understand why it is so important to carry out conservation projects and initiatives. I burst my eardrum whilst snorkeling and was invited to have a local meal a day after it happened. The food was very spicy and my ear suddenly started hurting so much that at the end everyone started laughing because they couldn’t understand what was wrong with me, initially I nearly started crying but then wouldn’t stop laughing with them. Being able to teach and spread the message about how important nature conservation is for the future generations. Whale sharks are so harmless and gentle by nature that it makes you want to protect them even more from any impact possibly caused by humans. Dolphins and whales, I’m fascinated by their social behaviour and communicating skills. A camera! One of my worst nightmares is dreaming that I am having a great encounter and I have run out of battery or I have forgotten my camera. Being able to breath underwater. It would be amazing to swim around observing all the marine wildlife and getting to observe deep sea organisms in real life and not through documentaries. Never lose hope and continue following your dream. You will have to sacrifice many things in life, as it’s normally a job which requires traveling, but then what you gain from the job is worth it. I would say never say no to job offers at the beginning when you end your studies. Every experience will teach you and will make you grow stronger as a person and a profesional. And lastly, in the end things will work out with a bit of patience and perseverance.